This song book contains 28 songs (all set to common tunes) that express the women's rights perspective. Titles include "Dare You Do It?" and the "Great Army," both to the tune of the "Battle Hymn of the Republic"; "Freedom's Anthem" to the tune "Swanee River"; "Three Blind Men" to "Three Blind Mice"; "Woman" to the song "America" and many others. The lyrics of these songs illustrate the major issues in the women's rights movement. 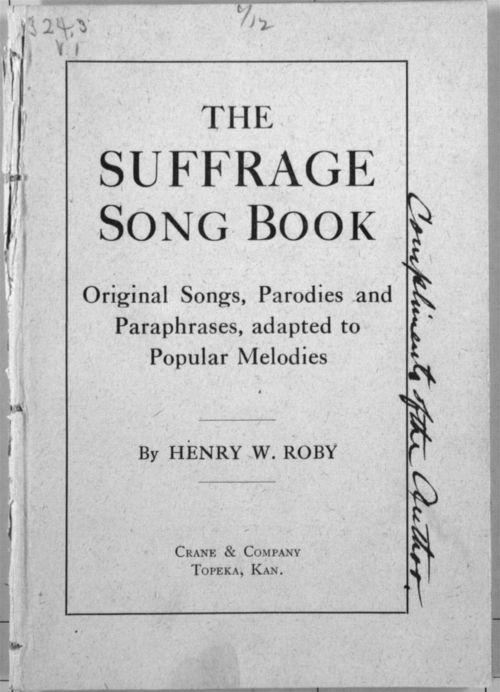 The songs were written by Henry W. Roby, a prominent medical doctor, and published by Crane and Company in Topeka, Kansas. These songs encapsulate the main arguments made by suffragists, making the suffrage platform easy for middle-school students to understand.